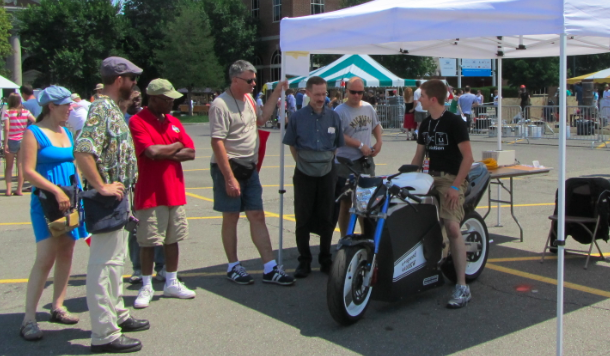 A few weekends my brother and I attended one of the few Maker Faire’s presented by Maker Magazine in Detroit Michigan. The Fair was a huge success, the great weather brought out thousands of people throughout the 2 day event. I got to meet many fellow EV builders and enthusiasts, robot builders, and general “makers” of all sort, here are a few pictures of the event. 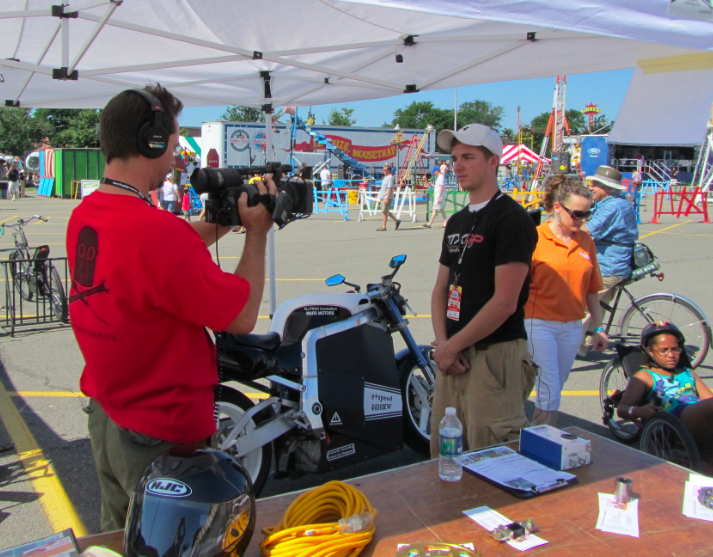 There was an interview done by Ben Nelson, he himself built both an electric car and motorcycle, he also posts many EV videos on Youtube, I will post the link to the interview when I find it. There was a small (and I mean small) race track setup for people who modified power wheel’s cars to race on, it was pure entertainment to watch them race. 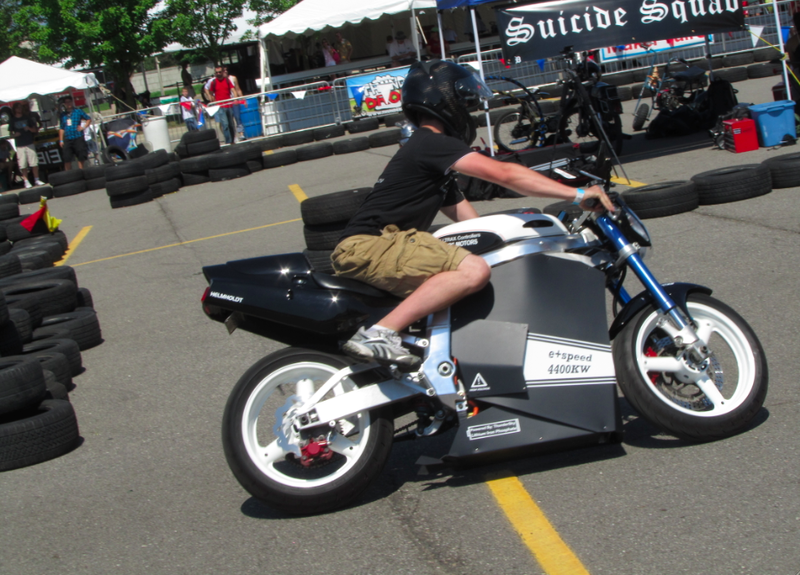 They let me take the motorcycle out there for a few laps. 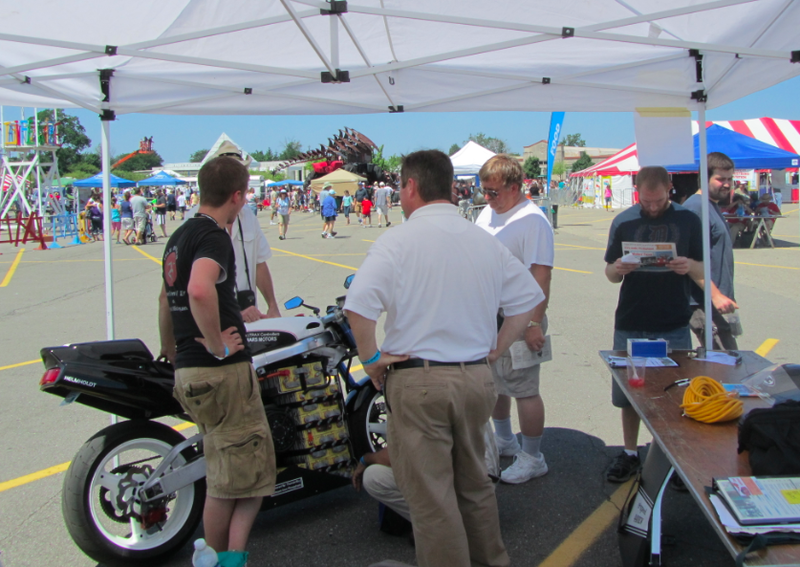 eventually I took of the side faring to show people the batteries and it drew quite a crowd! Hopefully I will have some great pictures and video of my next event, the 28th street Metro Cruise in Grand Rapids MI, Hope to see you there!